The Go-Go's, Tony Award-winning director Michael Mayer (Spring Awakening, Thoroughly Modern Millie) & So You Think You Can Dance''s Spencer Liff are bringing a new beat to Broadway this summer! 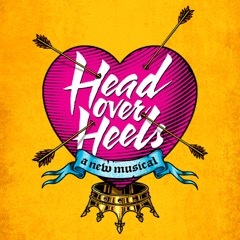 Deliriously funny, Head Over Heels takes us on a thrilling journey of self-discovery. Conceived by Tony Award winner Jeff Whitty (Avenue Q), and jam-packed with mistaken identities and jealous lovers, this clever new musical will keep you guessing at every turn. Performances begin April 10th at The Curran in San Francisco, ahead of an open-ended run at Broadway's Hudson Theatre beginning June 23rd.